Are You Looking For Answers To Your Orchid Care Questions??? Growing orchids, while fascinating, can also be frustrating from time to time. Orchids are a fascinating group of plants but because there are so many different types of orchids they can appear to be fairly complex when it comes to care. And it is not always easy to get answers to your specific orchid care questions. If you are looking for answers then you have come to the right place. As I have said before "The Orchid Doctor" is IN. Part of what I have tried to do with this web site is to be a resource to learn about growing orchids. I have created many pages filled with lots of free information on orchid growing both in general and on specific kinds of orchids. Please check them out! Go here for a page on Frequently Asked Questions. In addition, I will, to the best of my ability answer your orchid questions. Or if I do not know the answer I will research it or ask some of my professional orchid growing friends. This Web site is all about helping you learn to enjoy the wonderful world of orchids, these Gems of Nature. 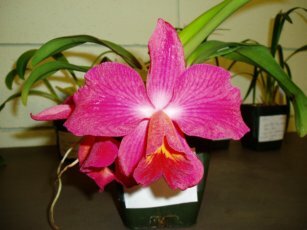 Here on this page I invite you to contact me to ask a question regarding orchid growing or culture. If your question is about Phalaenopsis or Moth Orchids you may wish to go to the Phalaenopsis Orchid Care page as there is a lot of great information there on Phalaenopsis Orchids. There is also a series of questions that have been asked (and sometimes answered in the past) that is on that page as well. Over the years, I have provided various ways of asking the "Orchid Doctor" for help. Currently I am returning to asking you to contact me through my contact page on this site. I will try to contact you via email regarding your question. So to ask a questions contact me via this link to my Contact Page. I will try very hard to make sure that your questions get answers! If at all possible, please consider attaching some pictures if it is pertinent to your orchid questions. I am here to help, if I possibly can.